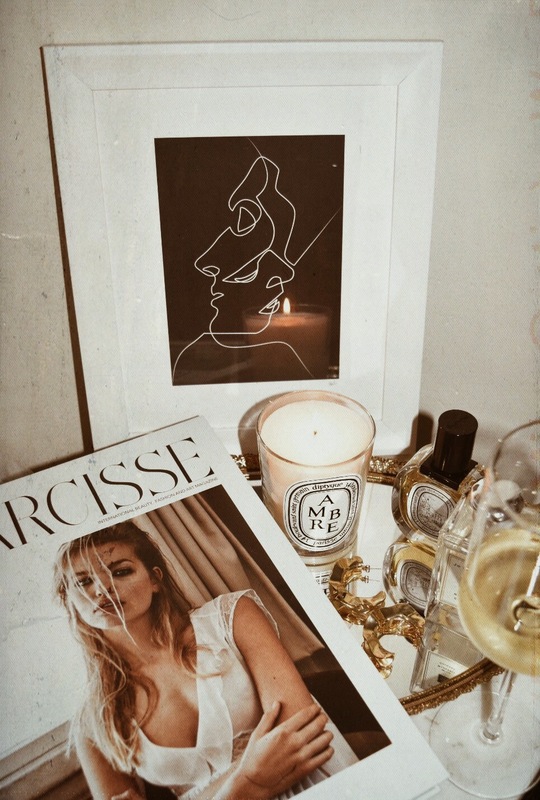 I have that new Ambre candle burning from Diptyque and it smells like woody goodness. Is it just me pining for fall right now?! I also purchased that wine glass (1 of 2) from CB2 for only $10 each. I was dyin'. They are so modern and I thought I was going to spend a fortune, so I was so relieved to see CB2 had them for such an affordable price. Definitely check them out if you're looking for new dinnerware (not sponsored whatsoever, I'm just genuinely a huge fan of them). I want to do another interiors post next week, if you guys don't get too sick of them! As always, let me know below what blogposts you'd like to see from me next. This week was a bit sparse with blogposts because I was finishing up work, but now my schedule will be so much clearer! Woo! Marble table by The Harpers Project. 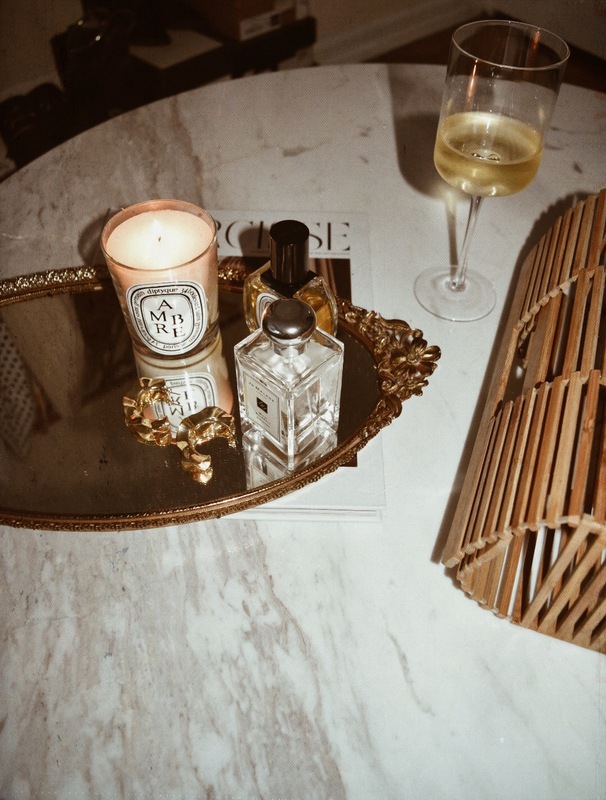 Sounds so relaxing love Diptyque candles, some of the best! 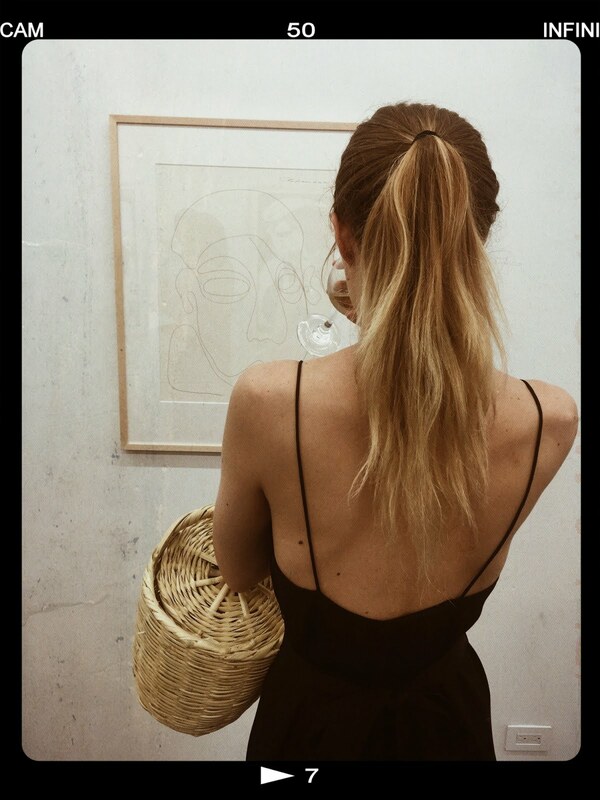 Would love a post on accessorizing your style! Especially w shoes!! The photos you share have really helped me hone in my own sense of style. I used to pay too much attention to trends and popularity and not my own taste. 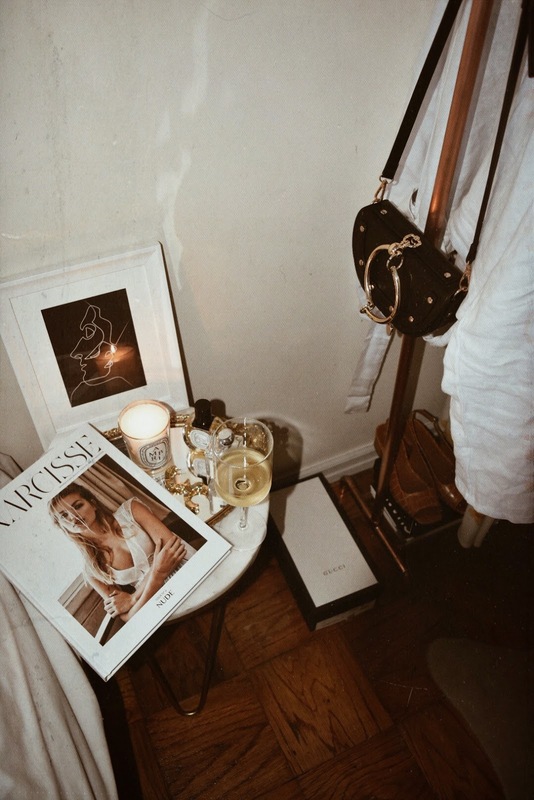 Seeing you incorporate basics and nudes and simple pieces kind of helped me focus on that and building my own style on top of it. I'm still growing w my style and discovering what I like but I haven't really ever been great with accessorizing/adding little pieces. I've been wearing the same pair of faded, ripped black vans for years LOL! Love your posts, Christie :)) Always look forward to new ones!! Ooooh okay, I could definitely try to put something together like that!! I can't even tell you how much that means to me, thank you so much! You are the sweetest. It takes time to discover what you like so don't rush yourself! And I just got a pair of old school Vans and LOVE them! Thank you so so so much! Ahh first congrats!! That'll be so exciting, trust me, I love it! I know it's basic but IKEA has amazing things, especially dorm wise since you don't want to spend a fortune on furniture that you might not even use in an actual apartment or home. I would also try Home Goods and Tjmaxx just for little accessories, and World Market is AMAZING! I love these photos! And your style! 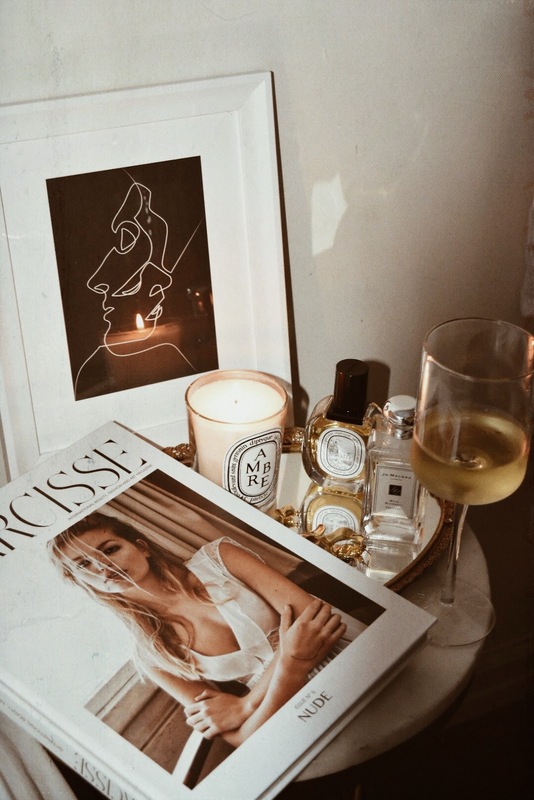 Nothing is better than a self-care night at home... 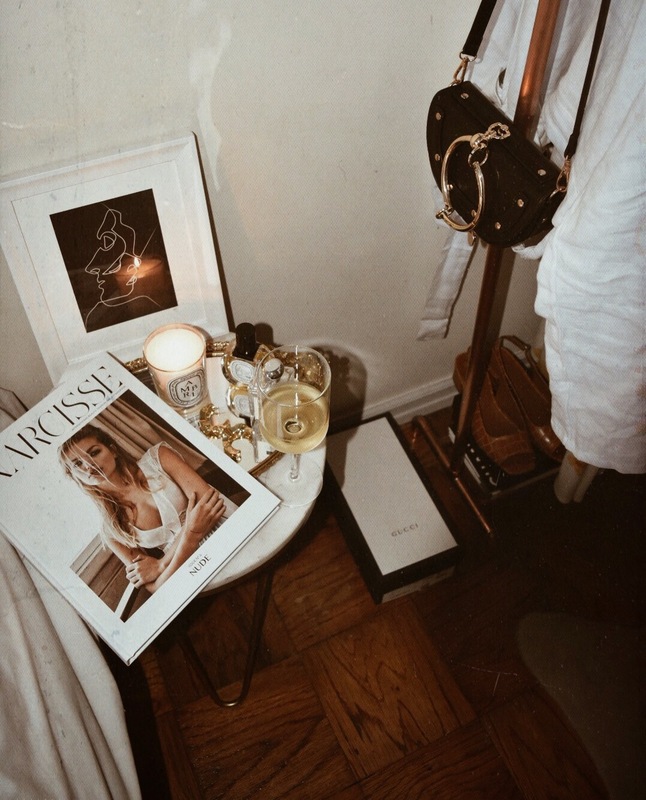 I'm so in love with the way you keep your bedside table! You're deffo my new inspo for interiors! Love. Hi love. 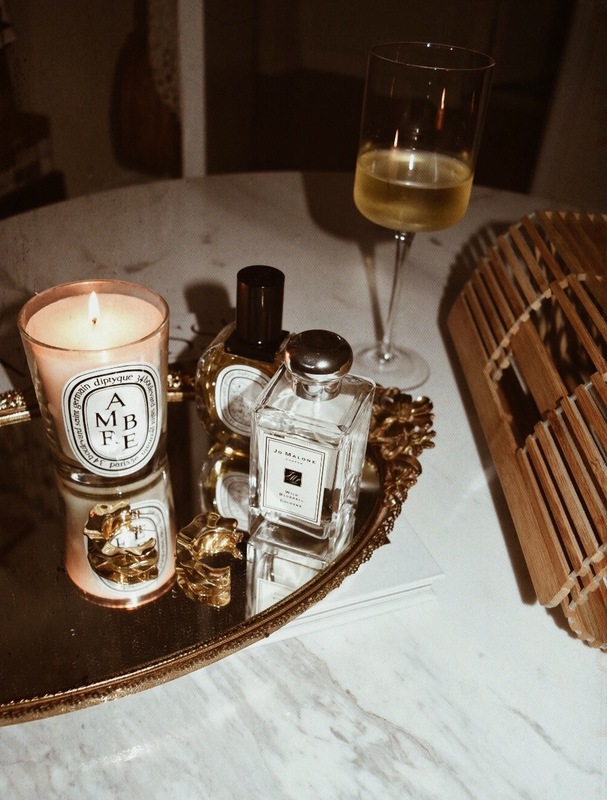 Where is the gold mirror perfume tray from?